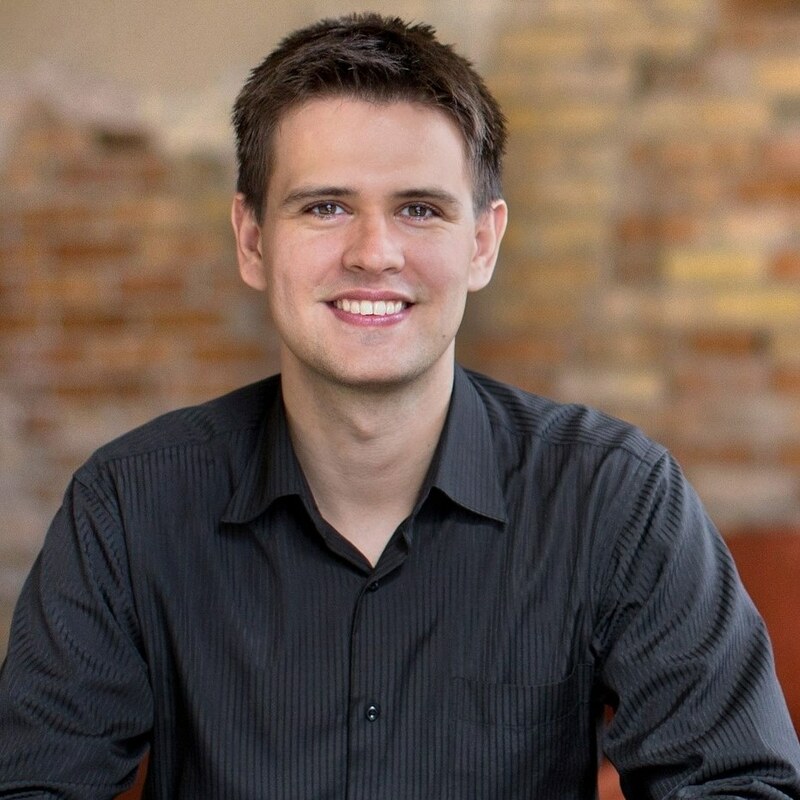 Matt Inglot is the founder of FreelanceTransformation.com, where he has been helping people all around the world build a business around their dream lifestyle. 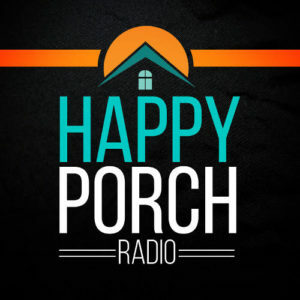 Welcome back to Episode 3 of Happy Porch Radio. This episode is all about avoiding the feast and famine cycle that so many agencies struggle with, and how to foster long term client relationships. Matt Inglot of FreelanceTransformation.com is a genuine master at this. You will hear Matt share some invaluable insights on how he has made a career out of his web agency for the last ten years, as well as how he was able to transform his own agency into a powerful and consistent business machine. How Matt realised that the feast or famine cycle was not sustainable in his business. The two problems that led to the feast and famine cycle. How Matt actually decided to transform his business. What kinds of challenges Matt faced when reinventing his agency. How Matt was able to shift his focus to building long-term relationships with a smaller group of clients. Matt’s advice for people who want to get out of the feast or famine cycle. Barry O’Kane: Welcome back. This is Episode Three of Season One. Season One is all about the long haul. We dig deep into long term client relationships, recurring revenue, repeat business, referrals and much more. Everything that’s vital to building an agency that not only survives, but grows. This episode is all about avoiding the feast and famine cycle that so many agencies struggle with and how to nurture long term client relationships. We are so fortunate to have Matt Inglot who is a master of this topic sharing some invaluable insights. I am absolutely delighted to have Matt Inglot here with me from FreelanceTransformation.com. Matt Inglot: Hey, Barry! How’s it going? Barry: It’s going great. It’s a real honor to have you here. Matt: It’s an honor to be on your show. Barry: Before we start, why don’t you introduce yourself and tell us a little bit about what you do. Matt: Sure, I’d love to. So first and foremost, I am the owner of a 10 year old web agency that has literally been my career with very few exceptions. What we do is we build websites specifically for ecommerce or lead generation and it’s something that’s evolved tremendously. It started with just me working in my basement apartment as a student and just building websites for anybody that was willing to write me a check, all the way to now I have this remote agency with a small team and it’s just created this amazing lifestyle. I’m also the founder of freelancetransformation.com and that’s a podcast and a website devoted to helping freelancers and agencies transform their business and basically get the types of clients that they actually need and to build a business that actually creates an amazing lifestyle for them. That’s kind of my way of giving back, so to speak. Barry: That’s stunning. I think you have an interesting, sort of transformation story yourself that’s led to the launch of the podcast in the site. Matt: Yeah absolutely. The part that I left out in that intro was the middle part. So, when I started my web agency which again, was just me freelancing/building websites, everything was basically great. As a student, any amount of money is a lot of money. And I very quickly realised , wait a minute, I could actually make a living out of this. But then I opened an office, I hired my first full-time developer and then I opened a bigger office and I hired more developers and somewhere along the way I realised I didn’t actually have what you’d call a sustainable business model. My entire business was based on the good old feast or famine, where either there was a ton of work and I was working crazy hours because we had a lot of work to do or there was basically no work and payroll was piling up. You know there was office rent to pay and bank account was quickly dwindling and I was working crazy hours to try to get more clients. And I eventually burnt out on that and I realised that’s not the way I want to run my business and in 2011, I basically deconstructed all of it and said ok well this isn’t working. What is going to work? That’s where I realised things such as the fact that well 20% of my clients were actually responsible for 80% of our profits of my business, not revenue, but actual real take-home profits at the end of the day. That was about 20% of my clients. I also realised that a lot of our overhead isn’t actually necessary to have a successful agency. So I rebuilt that business, now I can work from anywhere. I do work from anywhere and I have a very small, very loyal set of clients that my agency is built on and I take on new clients very rarely and very very carefully. Barry: There’s so much powerful stuff in that story that I think many of us will connect to. Starting from that the idea of feast and famine or the grind and the sort of stress that comes with all of that. If you don’t have something structured around it or something that makes it a little bit more, puts your more in control of that. Matt: Yeah exactly, and that’s where, for me, there was really two problems that led to that feast or famine cycle. The first was kind of the more obvious one which is that if you do big projects and then the project kind of ends and then you have to find the next client, well you’re not guaranteed that you’re going to find the next client right away. So what do you do in the meantime? And meanwhile you have staff and payroll and everything. But the second thing that I think most people don’t realise is also contributing to this feast or famine cycle is just the fact that, it turns out that we weren’t actually charging enough to begin with. It felt like a lot of money because I do the calculations and it worked out to so much dollars an hour and it sounded really good, but ultimately we were actually spending a lot of time that I wasn’t really realizing just trying to win those clients. And when you spend a lot of time just trying to win a client and manage them/onboard them, if you’re selling websites let’s say for like 5-10 grand, it’s very difficult to build a business around that because the development of a website might not be very profitable but then you have to factor the project management, the sales and everything else and then you realise your true cost of that client. So raising rates actually made a huge difference for me as did realizing that I can keep working with the clients that I win that I should just let them lose so that’s how I ended up with clients that maybe started with a 10-20k project and after nurturing them over several years, they ultimately ended up being 50, 80, 100, 150 thousand dollar clients for me. That’s all just a result of changing my approach with how I worked with them. Barry: I would like to dig a little bit into the process of how you build that relationship over time. But before we do that, I’ll just quickly ask about the pricing. Did you literally go around and just start increasing numbers or did you start to factor in those additional overheads and the other cost that you haven’t been including originally. Matt: It’s probably more of the former. I realised, I mean I did a deep dive into my business when I realised things weren’t working. Like I was at my wits end. I realised I couldn’t spend another year trying to run the business that I was running it, because it was literally killing me. I had all sorts of stress-related health problems. I was working like crazy, life was basically just falling apart, so I did examine my business very closely. But once I realised that, okay, I’m undercharging, I realised I have to make a decision here. Either I can sell a website for much more than I thought I could ever sell it for or this whole business is done. So I literally doubled the prices overnight. The next few proposals that I put out, I basically quoted at about 2 or 3 times as much money as I would have before. That didn’t come from, okay well let’s figure out how many hours project management takes and how many hours sales takes and somehow put it through a mathematical formula and decide oh okay, this is how much the website should be, because that’s actually a terrible way to appraise your work. So I just said okay well okay let’s try doubling or tripling it and see if people buy. Sure enough I got a couple of clients and that kind of saved the business and put me on this completely different path of building successful, six figure profit agency, finally. Barry: Do you think you had to go through some of that pain to learn all of that? The experience you’re describing there of stopping and stepping back and the deep-diving that you described and sort of analyzing things. I think a lot of us don’t realise that we can do that or perhaps just don’t take the time to do it because it’s quite, you know it must have been have been a fairly challenging process. Matt: Yeah, definitely and I think that’s a very important question. I think the answer lies somewhere in the middle. So let’s take the analogy of swimming. If you don’t go in the water and if you don’t actually try swimming, you’re not gonna get better. There’s an element of practice that’s absolutely vital. But on the other hand, you could learn swimming in a couple of different ways. You could literally go to the community swimming pool every week and just try to figure it out all yourself. Wave your arms around and try to float, and try not to drown in the process. That’s one approach. You could go on Youtube and start learning about swimming techniques and that way you can at least figure out what the basic strokes are and that way you’re not at least starting from scratch and you’ll probably learn to swim a lot faster. Or you can even go and hire swimming instructor and pay for swimming lessons, whether private or group or something like that. Chances are you’ll learn how to swim even faster. I think that’s definitely the case with anything, especially consulting. Unfortunately the route that I took was very equivalent to going to the swimming pool every week and trying to figure it out all on my own. I never really found the mentor that was actually an agency owner. I had other mentors. I had entrepreneurs as mentor but I didn’t have someone that I actually could look up to as someone that had gone and done it, and could teach me everything I was missing and that I ended up having to learn myself. So I think I took an unnecessarily hard route to figure things out. And I think definitely if you do things like listen to podcasts such as this one and if you do decide to learn from somebody that’s gone and actually done the thing that you’re trying to accomplish, it’s not that you’re magically going to know everything over night and you’re not going to make any mistakes, but you sure as heck are going to get there faster and you’re gonna make less mistakes in the process. Barry: I love that analogy, it’s very good. I immediately went to even extend it and say okay, you know you’ve learned to swim a little, maybe you can doggy paddle and then you jump in to start swimming long distances and realizing that it’s tiring and takes a long time. And that needing to constantly think about doing that step back and improve and learn is surely an important part of developing any business. Matt: Yeah, definitely. You’re not gonna wake up one day and you’re not gonna have like some crazy 10 million dollar agency after breakfast. There’s definitely a journey no matter what. Barry: Okay, so to go back to one of the key things you said you changed and as well as the pricing was focusing on building long-term relationships with a smaller number of clients, with these high-value clients. Can you tell me a little bit about how you came to that conclusion and then how you actually went about doing it? Matt: So I came to a conclusion just looking at my own data. So going through that deep-dive in my business that I talked about and what I realised was the fact that most of the actual profits in the business came from a very small number of clients. So in the case of most clients they would come to us and need a website, we’d build a website for them and that was the majority of the relationship. They might come back once or twice for like a small upgrade or something and yes, we would charge them like a small maintenance fee and a hosting fee. But let’s face it, like 80-90% of the money to be made from that client was made on that initial engagement and everything else was just, you know, relatively small. We already talked about feast or famine and the problem with that as well as the fact that if you factor in how much time you spend trying to find clients and manage them and onboard them, you’re actually spending a lot more time on that client than you think you are. So a lot of these client projects that would basically be one-offs were very marginally profitable. You know most of the cost went into actually building the site, into selling it, into managing it. The money left-over was very small and the margins were very tight and it just added a lot of complexity to the business without actually having any pay-off. Whereas a very small number of clients that actually made all of our profits were the clients that we kept working with. They kept coming back to us because they were getting a lot of value from our services. Many of them had some sort of online-based business where there was a very clear win to be had from having a better website or having new features on the website. Or just from the fact that like some of them I was really advising them on things that they should build. So these relationships naturally progress instead of having let’s say a 5 or 10 thousand dollar project and then nothing, these relationships progressed into 20, 30, 40, 50 thousand dollar relationships and that’s where all the money was really being made. Not so much on the initial project but with all the work that we continue doing afterwards. So, I can’t ignore math and I realised, well, I can actually dramatically simplify my business, have a lot less expenses, get rid of the office, convert my team into consultants and only focus on a much smaller set of clients. And I would actually be making about three times the profit as trying to serve all my clients, which is just crazy. Like basically, I’d be making way more money by working with way less people and working less hours and all of that. It blew mind. I didn’t quite believe it at first, but I figured again well I can’t keep going on the direction that I am going because I may as well try and see what happens. Barry: There’s many things in what you just said to pick out as well as the obvious benefits for yourself in the increased profits and the increased ability to control your working lifestyle. The other thing you mentioned several times was by providing clear value to the clients. How important is that? Matt: It’s literally the thing that matters. So the clients that kept working with us were the ones that saw value in our work. That was still kind of a mistake on my part because I was waiting for them to come to us and tell us what they needed. It just so happened that these particular clients had a higher idea of knowing what they needed and therefore could utilise our services better. But in rebuilding this agency, I realised that really I should be the one helping, advising and informing clients on what they need. So instead of acting like an employee and taking directions from my clients, I should really be acting as a consultant. I’m the expert in websites and web marketing, in understanding what’s possible out there. I am the one that spends hours each week, reviewing the developments in the industry and best practices and everything. So I should be advising clients of this because why should they be the expert? When I go to my mechanic, my mechanic tells me what needs to be done with the car. I have no clue. The thing’s got four wheels and an exhaust pipe and that’s all I know. That’s kind of the mistake that I was making. So I changed my approach to make sure that one, that I was consistently communicating with my clients. So never letting a client just kind of drop off the face of the earth for six months. I’d always be sending just follow-up emails. Not emails trying to sell them. The worst thing you can do is send an email saying ‘Hey Joe do you need any more website work?’ That never works. The emails I would send would just be more focused around checking in how the latest stuff that we had built for them was working or just seeing how things are going. How is their business doing? How is the website working out for them? Are there any specific challenges that they’re having? How are sales? Just kinda keep the conversation going. And I’d go and I’d have a meeting with that client, like a phone call or something, and just really take the time to understand their problem. Just listen, listen, listen. Listen to their problem, listen to what they have to say, and then I would be the one to make recommendations because I’d say a good 70-80% of the time, the clients don’t even know that their problems can be solved or don’t know the right way to solve their problems. By acting as the consultant, as the person diagnosing the issue, and then providing a solution, that inevitably resulted to way more work than if I had just sat back and waited for the clients to come to me. Then the second part, changing that conversation from more than just keeping in touch to, ‘I have an idea how I can help you solve that problem or have you…’, this sort of strategy in really using the technical and the industry and the skills and knowledge that you have to lead the conversation. That makes a lot of sense to me. That sounds really powerful. How did you overcome any challenges? Were there any clients that started to push back? Or said, ‘I’m not interested or stop bothering me.’ Were there any experiences like that? Matt: Yeah, there were definitely clients particularly because I had built an agency with a client-based where this approach wasn’t standard from the start. There were definitely clients that, they just didn’t care. They already got the value that they needed which was a website and quite frankly that website wasn’t that important to their business. So today, I would never take on that client. If I didn’t feel like that website’s going to create huge business results for them, I just wouldn’t take them on. But I mean they were my clients and what’s done is done. So very quickly I just put some of them in the back burner. The ones that just didn’t want to have that further conversation, no problem, no problem. We’ll keep the same relationship we had before. But then there were a few clients, especially new clients, but some of the old ones as well, where that basically dramatically changed that relationship where suddenly we were working a lot more together. We were doing a lot more work. Sometimes, way more work. And those are just the ones that I focused on. So there was never any like a hostile or negative encounter, nothing like that. It’s more just some people just aren’t interested and you’re just not gonna get anything more out of them in terms of sharing their problems and so on because their mind is just not on how we can we invest in our web presence. That’s okay, too. Move on to the people that are. But when you’re going forward, when you adopt this approach, try to only take on the work with the people that are going to want to have those conversations so now I actually turned down about 80-90% of new leads that I come in because I know that these are not leads that I’m gonna build those relationships and therefore they’re just not the right fit. Barry: Yeah and not the right fit, it’s not that you’re turning people down because there’s some uncomfortable or bad thing going on, it’s just merely that the value you give and you get from them doesn’t fit. Matt: Exactly. For those clients that we already had, again, no problem, I mean they still got the maintenance, they still got the support, they still got the hosting, nobody got turned away. Nobody’s feelings got hurt. But it’s just, I shifted most of my focus to the clients that do want to keep growing their online presence. Just for context, like some of these clients had initially spent like literally about 10 thousand dollars with us. Sometimes even less getting their initial website built. And then several years later we would rebuild a website for them and this time instead of a 10 thousand dollar project, it would be a 40 thousand dollar project, plus all the upgrades and work that we did in between those two points. So we’re not talking increase your client’s sales by 20%. We’re talking if you maintain those client relationships, you’re going to make 5 to 10 times as much money as you would otherwise. Barry: And power for your clients as well because the reason their spending that money with you is because you’re providing value and their business is growing. Matt: That’s exactly it. And that’s the other issue, is even if you don’t want the money, I don’t know why you wouldn’t but if you don’t want to have those relationships with your clients, then you got to realise that you’re actually under serving them because people are looking to you to be the expert. And if you don’t fill those shoes, you don’t play that role, you don’t take that approach with a client, you are robbing them off the value that they could be receiving. Meaning, their business is literally not going to do as well as it would if you actually play the role that you should be playing. Barry: Which, as a professional, you want to do, right? You want to really be useful to them and to the world, generally. Matt: I would certainly hope so (laughter). Barry: So in those ongoing relationships, have you ever experienced a situation where you’re providing some advice or suggesting a solution or something and the client has a very different idea? Or either wants to do something in a very different way or just doesn’t want to accept that specific kind of advice you’re giving? Matt: Well, almost everybody starts at the point of having a different idea. So when people initially contact us about getting a website built, I almost ignore any specifications that they give me. Right? Because everybody comes in with some preconceived notion of what they think this project should be. And that’s okay, I mean if I was in their shoes, I would have done the same thing. But I go past that, like we have our meeting, we have our phone call, whatever it maybe, and you won’t hear me asking, ‘How do you want this home page slider to look and where exactly do you want the blog on the website?’ I mean, these are all solutions that they prescribe. They’re not necessarily the right solutions. The questions that I ask them are almost entirely business related. First I start learning a little bit about their business and what is it that they are actually doing, what is it that has driven them to want to build a new website, what is the primary business goal that they’re trying to achieve with the website. These are all questions that shockingly a lot of them haven’t heard before. They are just so surprised that someone is actually asking them any of that because they are used to talking to people that are asking them where they want the blog on the website. That creates a very different conversation because once you get people thinking about what they are actually trying to achieve with their project, then their own gear start turning differently and they realise, ‘Hey, wait a minute, this is the stuff I need to be thinking about.’ That’s where most people listen to you as the expert. You’ve already established yourself as an authority just by asking those questions in the first place. Just like most people are receptive to hearing what the doctor has to say and so on, they’re receptive to hearing from you. I’ve had very few just complete conflicts of direction with clients. It does happen sometimes where someone just insists on doing something that you know is a bad idea, but the more you build a trust-based relationships with your client from the start and the more you create a relationship where you are the expert and you are the one determining the solution, the less likely that scenario is to ever arise. All the really bad ones, I can’t name names or specifics, but all the really bad ones I can think of were all using my old approach where I basically started the relationship basically acting as an employee and waiting for tasks from the client. Those were the ones that the client would give me tasks that I disagreed with whereas when I switched to consulting mindset most clients do listen to me. There’s only been a couple of areas where we’ve disagreed and once in awhile and that’s meant, ‘Okay well let’s do this and let’s try it out and let’s see if this works or not, and we can revisit it if it doesn’t.’ But for the most part, if you come in acting as a consultant, people will in fact listen to you and take your advice. Barry: I really like where you said that you’re demonstrating the authority by the questions you ask rather than focusing and talking about how great you are, but by demonstrating it. And you’re also talking as well about shifting the conversation from the details like the how to the strategy level, so really understanding and helping them understand as you say very often they haven’t been asked those questions or considered that level. Or even if they have, they haven’t taken it to getting somebody’s expertise, like technical expertise, for example, at that level of conversation. How do you actually structure the relationships? Is everything based on these sort of ongoing conversations and then you quote for projects? Do you structure recurring fees? How do you actually structure the relationship in terms of business relationship? Well first there’s support and maintenance, which if you are doing anything technology related and you’re not charging a support and maintenance fee, then not only are you leaving money on the table but again, you are under serving your customer and you’re just missing out on a huge opportunity. All of our clients pay some sort of support and maintenance fee. We do also host most of our clients and we do charge small hosting fee for that. We actually do that more because we don’t want to deal with a million different web hosts so much as just generating any real revenue. If I break even on hosting I’m a very happy person because it means I’ve saved probably thousands and tens of thousands of dollars in trying to deal with other hosts. The other types of recurring work we do are work that can easily be billed out on a recurring basis, like search engine optimisation, pay per click management. These kinds of services where there’s a defined thing that you do for a client every X months or every X days, that’s the kind of thing that I do on a recurring basis. I do know some agencies, sometimes successfully do things like, ‘Okay we’ll optimise your website year round and we’ll give you ideas year round and things like that.’ They find a way to build that recurringly, that’s fine too. I don’t think you need to use recurring billing as your sole source of ongoing client work. It’s not like project-based work can’t also be lots of predictable ongoing revenue simply by continuing to have those conversations with clients. Barry: Yeah, I think that makes a lot of sense to me that you’re concentrating on the ongoing value and the ongoing relationship, but there’s multiple different ways to structure that. And that it’s more about the detail of how you want to structure that is almost less important than keeping that relationship going and keeping the value coming in. Matt: That’s exactly it. Pick the model that works best for you and for the particular service that you’re providing. Barry: And it’s also interesting that you touched on the maintenance and support stuff keeping things ticking over and how important that is. Do you mean that’s important not just for keeping a website up and running and making sure that the client is getting value from the site, but do you find it as a useful way of just keeping in touch with the client as another touchpoint and another communication channel? Matt: Well yeah, definitely. I mean that is a huge goal. To continue communicating with your client, never let that relationship go dead. As soon as you do that, you’re possibly missing out most of the value that was in that relationship and consequently the client is missing out as well. One of the things that you really want to do is make sure that your client sees you as a golden goose basically, as someone that basically provides tons of value to their business and is almost irreplaceable. They want to have that relationship, they want to keep communicating with you, they want to keep paying you because they know that the value that comes back to them ten fold. Whereas a lot of service providers, instead of being the golden goose, they’re more like mosquitoes, where they’re kind of annoying. You know you have to pay them because you know you need your website running. You know you need this or that. You’re writing the check kind of reluctantly. It’s like swatting the mosquito away. You write the check and the service provider goes away and you don’t have to deal with them for another year. Unfortunately a lot of service providers, a lot of consultants, quote “consultants”, have that kind of relationship with their clients, and that’s a terrible relationship. You want to be the golden goose, you don’t want to be the mosquito. Barry: So how do you demonstrate that value or do you need to do anything over and above doing the work to demonstrate that? Matt: Well the reason that we do the work is because there is a business case for it. Doing good work, doing work that’s pretty, doing work that’s technologically clean, are basically just table stakes. It’s assumed that you are going to do those things. But those things don’t inherently make the work valuable. The stuff that makes your work valuable is the business impact that it has for a client. So is this work that’s going to somehow increase sales, increase leads, is it going to decrease cost, automate a process, make something more efficient. Is it going to help them recruit top talent, is it going to help them serve their clients better, is it going to help their founders spend less time on the business. Those are examples of delivering real business value. If there’s no business case then it’s not something that we would ever recommend. So the value is determined even before we write a single line of code or we put a single pixel on the screen. Barry: Do you find that that value is really obvious and really clear a lot of the time or are there cases where you can see what the problem is? The example you gave them the automated fulfillment processes is a very clear start to finish there. We can see the problem, we can see how to fix it, and we can see the savings or the benefit at the end. What about less clear lines to the actual solution of the problem, maybe design changes and UI changes that maybe need iterated through and that kind of thing? Matt: Well everything about we do is going to start with a problem that the client has. So we’re never going to wake up one day, look at a client’s site and say, ‘Hey, you know what they could really use? UI and design changes.’ These recommendations all come from the conversations that we have with clients. As an analogy, it’s the difference for example between building a product, because you’ve spoken to a lot of potential customers and you’ve really listened to their problems and you built a product designed to solve those exact problems, versus waking up one day and saying, ‘you know what would be a cool product?’ and then building that product. The second is not rooted in any sort of real problem that people have that you’re aware of. You just wanted to build that product. So same with doing design changes for the sake of design changes. Now that said, and what you might be getting at a little bit here, too, is that there are times when maybe the value of a project might not be as guaranteed. So, for example we know that we want to increase the number of people that buy this product. Well, we could make a design change, we could try a few things. There’s actually no guarantee that any of that stuff will actually increase sales. But we know if we work with you for 6 months, and know we try a bunch of things, there’s a very good chance that sales will increase. We just don’t know which of the things that we do will do that. In which case, I want to make sure I structure an engagement where it’s pretty much guaranteed that we’re going to deliver that result. I’m not going to bill you for a design change. I’m going to want to work with you for 3 months or 6 months on a broader engagement to do a number of things that are likely as a whole to increase your sales even if not everything we try works. And if for some reason we went through that 3 or 6 month engagement and we didn’t get results, quite frankly I’d keep working with you until we did. Because clients are paying for results and I think that’s something that we as consultants just have to take ownership of. Quite frankly if you’re not capable of delivering the results, then you don’t deserve that paycheck. Right? So I never want my clients to pay us a bunch of money to deliver a result for them and we not deliver that result for them. Matt: Yeah, that’s precisely it. Barry: Huge thanks again for joining us, Matt. Just two questions to finish this off. First of all, to anybody listening here who’s maybe running a small team or even a large team who feels like they are not feast or famine situation and feels like it’s all sort of fire fighting and reactive, what would you suggest might be the one next step that they could do to take control of that situation and to move down more the line that you were describing? Matt: So as someone that was very much in that situation, the very first thing you have to do is you have to stop. Just pause, take some time off where you’re not putting out fires. That could be on weekends or whatever, and just pause and just really think about your business. And the very first thing that I want you to think about is not your clients, not your profits and whatever else. I want you to think about why you’re running this business in the first place. Where does it fit into your life? How do you want your life to look like when you’re running that business? Because a lot of entrepreneurs forget to do that and that’s problematic, because if you build a business that doesn’t optimise for creating the life that you want, you’re almost inevitably going to get some sort of weird abomination that may or may not be profitable, but which is almost certainly going to take over your life. That’s where a lot of this putting out fires and running around with your head cut off kinda comes in, is that you’ve probably never really thought about that. Once you’ve kind of established why you’re doing any of this, should you be doing any of this, then I would recommend doing what I did which is really dive into your business, your numbers, who your clients are, where the profits come from, what do you like about the business, what do you not like about the business, and start questioning all of the assumptions. Do you really need these types of clients? Do you really need to be offering this type of service? And so on. And really kind of break out what’s really working in the business and what’s not working. Cause that’s ultimately what I did is I ended up with basically two columns. What’s actually working about my agency and what’s not working and then I eliminated or fixed all the stuff that wasn’t working. And that is a process, that’s not something you’re gonna get done in the afternoon. And it can be so easy to just bury your head in the sand and not want to deal with this stuff, not want to think about it and move on to putting out the next client fire. But as long as you keep doing that then nothing’s ever gonna change for you. Barry: And I think the story that you’ve told there, that it is possible to get to that point helps as a little inspiration to go through that process. Matt: Well my story, quite frankly, is one where probably the worst moments of my life came right before everything got better. Right? It was at that darkest, that worst moment where I literally felt everything was falling apart. Where I felt like I was stuck between a rock and a hard place. Where I felt like running out of money was around the corner. Where I felt like a gigantic failure, and where I felt like I was just trapped in a business I couldn’t really get rid off. That was such an incredibly hard time. But that time came right before a lot of good things happened and those good things happened because I decided I needed to make a change and that I was going to make a change. So, it’s very hard to picture life getting better when you’re at your absolute worst. But, go through the process and do it, and start making those changes and you will be surprised where it can lead you. Barry: Thank you again for sharing you story and all that advice. Barry: Just before you go, if people want to connect with you or follow along with your broadcast, where do they go? Matt: Absolutely, I’ll give you two links. The first, if you want to check out Freelance Transformation, check out the podcast in particular because at this point I’ve interviewed over 70 successful consultants, including a number of agency owners and also solo freelancers that are just rocking it hard. And we always go deep in each interview. Freelance Transformation is the place to go. I will also give you another link specifically related about the topic that we were just talking about. I have a short guide that basically is intended to help you understand and give you some ideas of how you can actually deliver this business value to a client. What I found is, a lot of people will kind of walk away and think, ‘Oh ok, I gotta deliver business value but now how do I do that?’ So this guide basically features tons of examples of exactly how you can do that, and you can find that at MultiplyClientValue.com. Barry: Excellent. And I’ll link both of those and some of the other things that we’ve described in the show notes on happyporch.com/podcast. Thanks again Matt! Matt: Thanks so much Barry!